Greenslopes cafe Jam Pantry is the latest creation of seasoned cafe tycoons Nims and Gideon Zavackas. The question isn’t whether to eat at Jam Pantry. It is how many reasons are there to eat at Jam Pantry. Originally intended to sell Nims’ line of preserves, Jam Pantry grew into a cafe that encapsulated Nims’ passion for cooking up unexpected tastes, new textures, served with a serious side of love. There are several other touches that position Jam Pantry as the leaders of Brisbane’s breakfast game. If you’re not a cappuccino fan, this may sound crazy.Â Yet, anyÂ serious cappuccino connoisseur takes their chocolate sprinkling seriously. Jam Pantry smothersÂ caps, hot chocolates and mochas with lavish dark chocolate shavings. Trading the cocoa powder for dark chocolate is a quirk that transforms the Jam Pantry coffee experience from good to great. 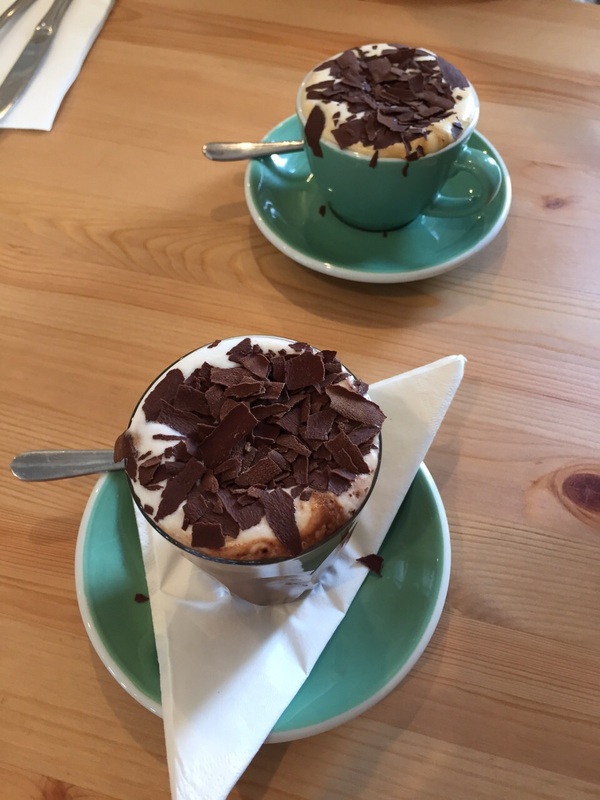 A Jam Pantry cappuccino and mocha lathered in chocolate shavings! In addition to the classic breakfast menu which flirts with brave sweet-savoury combos, Nims thinks twelve rotatingÂ seasonal specials centred around her market haul. I tried the broken eggs with sweet fennel pickle and ricotta special. My tastebuds were super impressed with the flavour combo they’d never before tasted.Â ComponentsÂ featured on the special board included curiosities such as Â bacon ice cream,Â cardamom and ginger ice cream, dragon fruit jam, and quince. One of the walls of Jam Pantry is lined with jars labelled with wacky names such as banana chutney, bacon jam and peach relish. 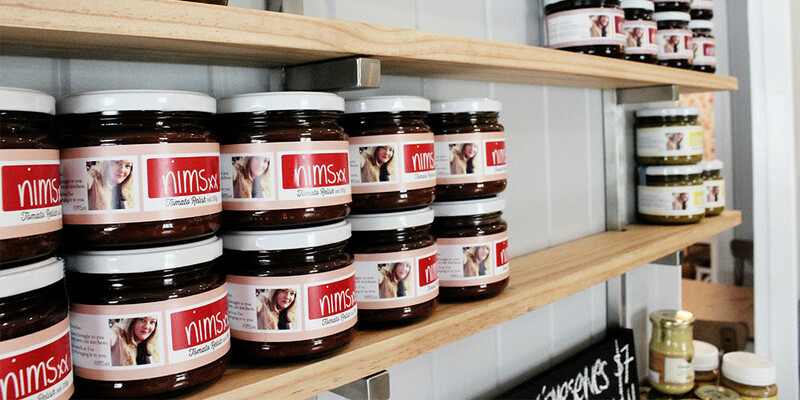 Nims’ banana chutney was popularised in her Sydney cafe Big Brekky PlaceÂ and is now sweetly packagedÂ for you to take home to smother every meal or eat from the jar – up to you. 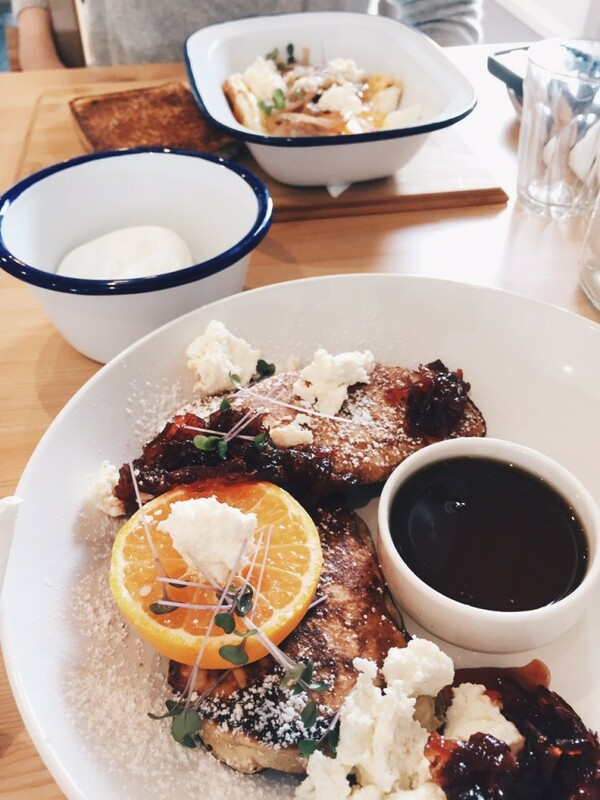 Jam Pantry gives Brisbane’s brunch scene a refreshing facelift and taste lift.Â Pay Jam Pantry a visit – you’ll be sure to find your own excuses to go back!